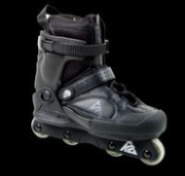 FATTY PRO Aggro Skate - Skate and Destroy! 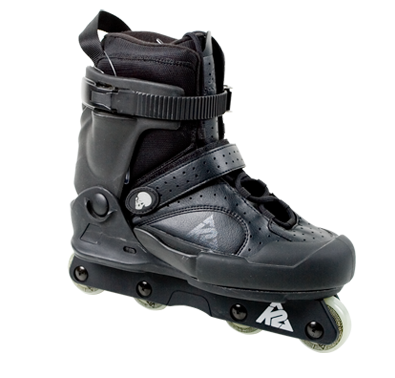 The original K2 Fatty started the inline street/vert craze in the mid-1990s. Its big brother, the Fatty Pro, is all black in 2009 with full UFS compatibility, the known fit of the K2 Softboot and backslide plate proven to Royale like no other.